Mrs Shirley Ayorkor Botchwey, the Minister of Foreign Affairs and Regional Integration on Thursday, re-affirmed the country’s commitment to the implementation of all ECOWAS protocols especially with free movement of persons. The other protocols includes the right of residence and the right of the establishment of goods and services, stressing that, trade was the pillar on which regional integration rested, and offered immense potential to promote sustainable development within sub-region. “Trade between African countries creates the much needed employment to our teeming youth of the continent who are faced with severe unemployment challenges,” she added. Mrs Botchwey said this in Accra at the Ghana-Nigeria Trade Investment conference on the theme: “Harnessing the Business Opportunities in Ghana and Nigeria to Accelerate Inclusive Economic Growth and Development”. She said the private sector was a catalyst for the development agenda for Ghana and Nigeria, adding that, existing cooperation between the two countries would help accelerate inclusive economic growth. Mrs Botchwey posited that a peaceful political climate and favourable legal framework contributed significantly in trade and investment opportunities for both countries. She stressed that the two countries would continue to strengthen ties for mutual benefits and economic development. “Government will continue to champion the cause of private sector as engine for growth in an enabling business environment is critical for private business competitiveness and sustainable development,” she added. She said government was committed in creating and ensuring macroeconomic stability as demonstrated in the 2017 budget where incentives were granted to businesses in a form of tax relief, reduction in import duties for selected products were implemented. She said the two countries had the biggest economy in the sub region, but trade investment between them were not impressive, and urged authorities to work assiduously to address the gap. She said the signing of the Continental Free Trade Area agreement would boost economic growth across the continent. She noted that already, the protocol of free movement of goods and services through the Regional Economic Communities, the East African Economic Community and the South African Development Community was working perfectly as well. “The Free Trade Agreement when implemented will reduce the continent’s vulnerability to external shocks and expected to enhance the participation of Africa in global trade as a respectable partner,” the Foreign Minister said. Mrs Botchwey said government was aware of the concerns of some Nigerian business community with regards to the investment and immigration laws, and assured them that, authorities were making efforts to have the issues resolved through the appropriate institutions and channels. “Ghana is open for business. We want to engage Nigeria more in trade and investment, to help us create wealth and keep our citizens gainfully employed while harnessing the natural and human resources for our mutual benefits,” she noted. Mr Olufemi Michael Abikoye, the Nigeria High Commissioner to Ghana said Ghana and Nigeria economic indices had showed great prospects, and added that more emphasis must be placed on supporting the private sector to stir development. He said their outfit had launched the Nigeria Economic Initiative to create the enabling environment for businesses across the region to thrive. He urged African leaders to put into action their policies for results, and called for integrated business relationship between the two countries for trade and investment. 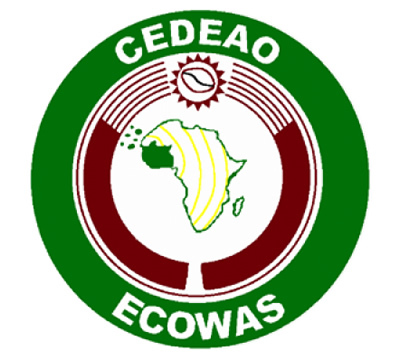 The post Ghana affirms commitment to ECOWAS protocol appeared first on Ghana Business News.